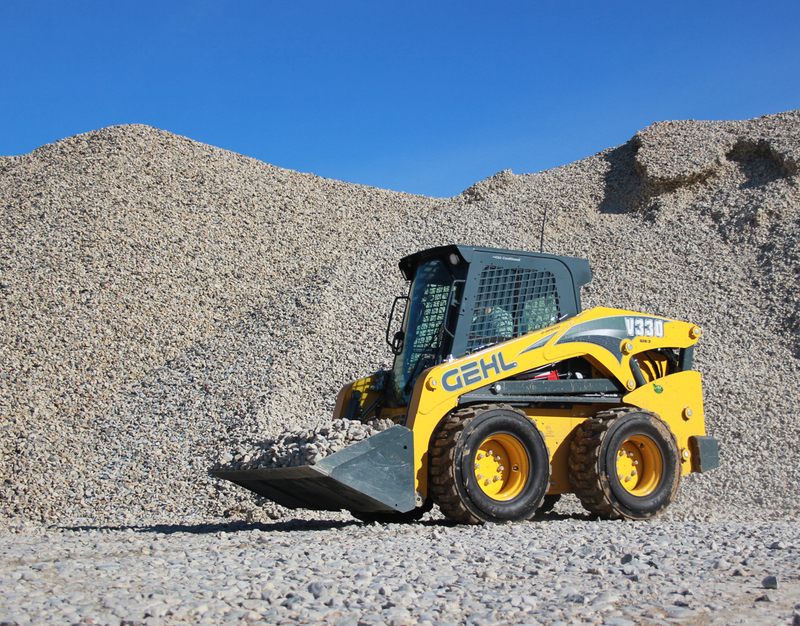 The Gehl V330 GEN:2 skid loader is a shining example of Gehl’s superior innovation and well thought-out product development. The new chassis aids in superior weight distribution, which further enhances stability. New rear bumper provides additional protection and towing capability. The operator’s compartment on the V330 GEN:2 skid loader provides a safe and comfortable working environment for operators of all sizes. 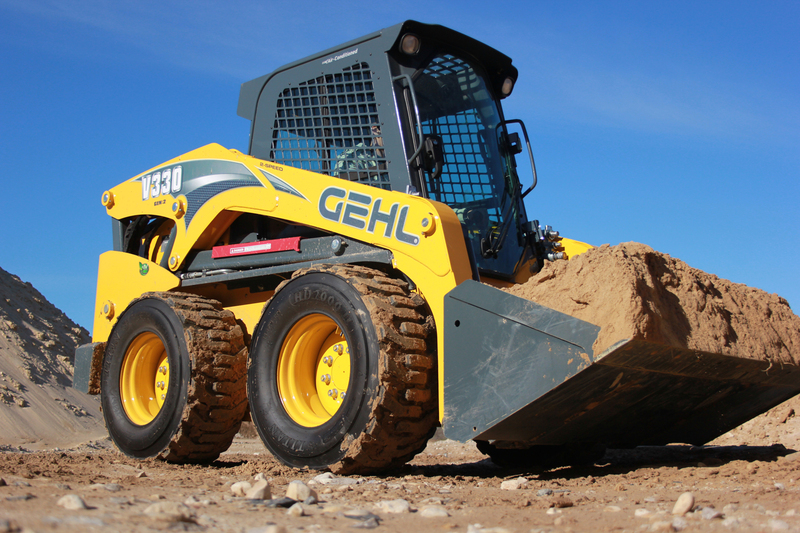 Controls on the Gehl V330 GEN:2 skid loader are ergonomically designed to reduce operator fatigue and increase productivity. T-Bar and dual-hand controls are now available. Optional electronic attachment control – 14-pin connector for easy operation of all attachments. Emissions certified Tier IV engines combine power and efficiency on the V330 GEN:2 model. 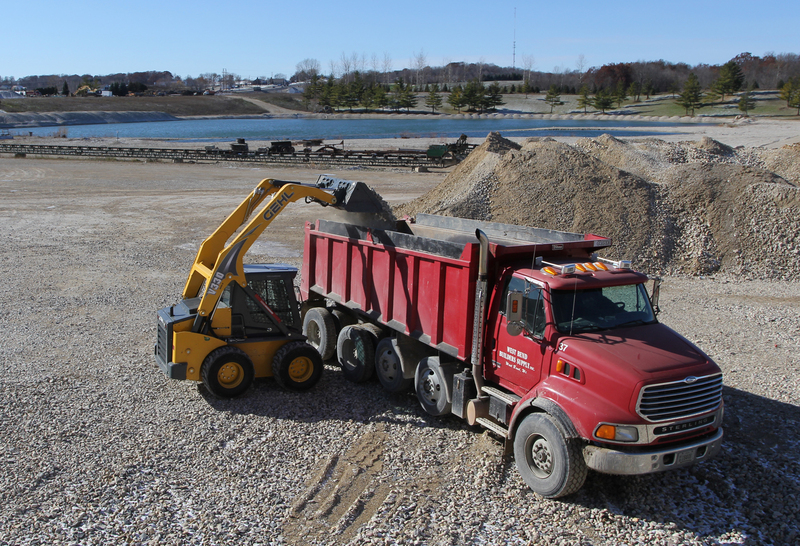 When maximum hydraulic power is needed to run demanding attachments, the V330 skid loader is equipped with the tools to get the job done right. Higher system pressure delivers more hydraulic muscle to power demanding attachments and deliver superior lifting and breakout forces. A full line of Edge attachments and accessories are designed specifically to fill operators’ needs, making their V330 GEN:2 the most versatile machine on the job site. Popular attachments are listed below. The V330 GEN:2 skid loader vertical-lift arm design was created for maximum reach, superior strength and optimal operator visibility. Additional reach is achieved at trailer loading and unloading heights. New single-plane lift-arm design features a heavy-duty timing link, upper-rear channel support and large diameter pivot pins, providing best-in-class vertical and lateral strength and rigidity, as well as exceptional rear visibility. At Gehl we know ease of serviceability is very important to our customers. 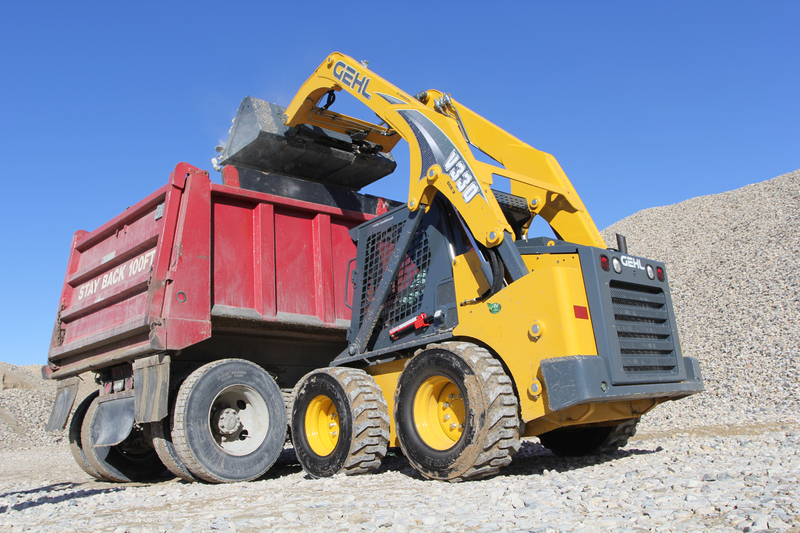 The model V330 GEN:2 skid loader is sure to exceed their expectations. Rated Operating CapacityA 3,300 lbs. Operating WeightC – Approximate 9,090 lbs.